Who: Students and friends of students in our University Ministry. All University are welcome! Christmas cookies and other holiday snacks. An ugly sweater competition (! ), so bring either your most hideous or most festive sweater you can find (prizes awarded for each!). Assembling finals week care packages for fellow students on your campus. Singing Christmas carols as loud as we possibly can. 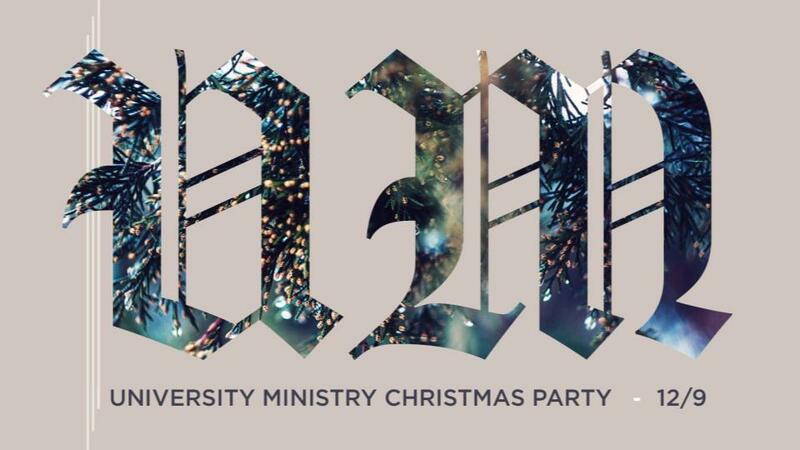 Why: This is our last gathering of 2016 as a UM so why not be festive?! RSVP: Let us know you’re coming here!